People often say they want success; they want to live life on their terms; they want to help others do what they love. Frankly, it's all lip service unless you are willing to take that next step, which takes time, dedication and consistency. If done well, it allows you to live life at a level that makes you happy and fulfilled — also known as success! 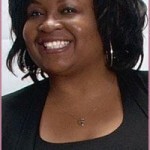 Marquesa Pettway has reinvented hundreds of speakerpreneurs. In 2005, she founded the National Center for Speaker Training which provides an impressive range of programs, products, long-term masterminds and live events for entrepreneurs who use speaking as a critical part of their business module. Marquesa started in the industry of professional speaking in 2004 and quickly learned that in order to be successful you have to be entrepreneurial. This means, it’s not about just being a speaker but a speakerpreneur! Using speaking as a marketing tool, creating multiple income streams and using productivity tools has kept Marquesa in the business fulltime and growing every year. Speakers that did not get this are no longer in the industry! If you want the competitive edge along with a consistent six-figure plus income, your mindset, business habits, top strategies, and understanding your biz personality must be very clear. Lack of clarity and direction in these areas lead to the downfall for most. Go to www.reinventionroadmap.com and enter a special code of 52013 (for Meridith’s listeners only) to get a $50 off discount and access to Marquesa’s step-by-step downloadable program! Offer expires soon!